/ he Border Terrier was developed as an all-purpose hunting terrier who was long-legged enough to follow the hunters on horseback yet small enough to crawl into burrows after prey. Her ancestors are all working terriers. The hill men of the border regions of England bred these dogs for performance rather than along breed lines. The Border Terrier stands 12 to 14 inches tall and weighs between 11 and 15 pounds. Her head is otterlike, eyes are dark, and ears are dropped. Her body is sturdy and narrow. The undercoat is dense and the outer coat is wiry. She has whiskers and a beard. The coat may be red, wheaten, blue and tan, or grizzle and tan. The coat requires hand-stripping, which can be tough to learn. Ask your dog's breeder for instructions. The coat does shed and should be brushed two to three times a week. This active breed needs vigorous daily exercise. Although morning and evening walks will be enjoyed, walks alone are not sufficient. These dogs also need to play some catch and fetch games, train on the agility course, or participate in canine sports. All exercise, games, and training should be on leash or in a fenced yard. The Border Terrier Club of America says, "The Border Terrier is an instinctive hunter and cannot be trusted off leash in an unfenced area at any time." Early training can help channel some of the breed's tendency to be busy. This is also a very bright breed who will thrive with varied and fun training. 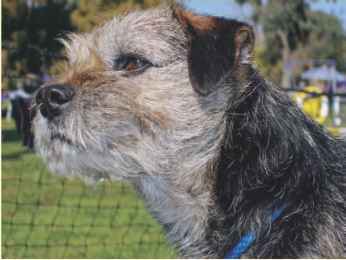 The Border Terrier does well with an active owner who likes canine games and sports or at least enjoys playing with the dog. This breed is also good with children, as long as the kids are not too rough. Border Terriers usually get along with other dogs and can live nicely with the family cat if raised with the cat. This breed should never be trusted with strange cats, however, or other small pets. Health concerns include heart defects, eye problems, and hip and knee problems. he aristocracy of Russia created the Borzoi, also known as the Russian Wolfhound, as a sporting yet serious hunter who was prized for speed and courage. The first breed standard is known to have been created in 1650, but at that writing, the breed had already existed for two to three centuries. The Borzoi is a tall dog, standing 26 to 32 inches and weighing 60 to 110 pounds. She has a long, narrow head with dark eyes and strong jaws. She has a runner's body, long and narrow, with a deep chest and a long feathered tail that acts as a rudder when she runs. Her legs are strong and feathered. Her coat is of medium length, silky, and can be any color. 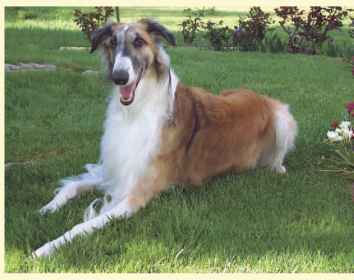 The Borzoi Club of America recommends using a pin brush to groom this breed; a slicker brush can damage the coat. Borzoi should be brushed two to three times weekly. Borzoi adults are calm in the house, although puppies can be more active. Twice-daily walks and a chance to run will be enough exercise for this breed. The Borzoi Club of America says, "Being sighthounds, they are apt to chase anything that moves. They should always be in a fenced area or on a leash. It is never advisable to allow a Borzoi to run loose." Training a Borzoi can sometimes be a challenge. Although these dogs are sweet and sensitive, they can also be independent and a touch stubborn. Training should be structured yet fun and positive. Avoid too much repetition. The trainer must also be very patient. If you want a quick-learning, compliant dog, do not get a Borzoi. This breed enjoys lure coursing, and many have made excellent therapy dogs. 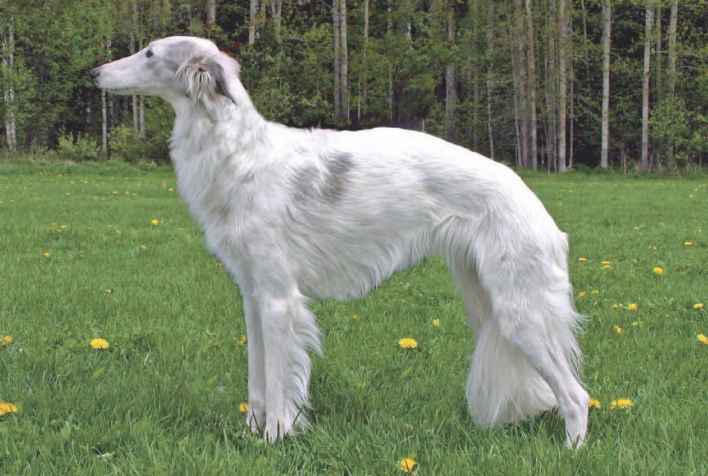 Borzoi are elegant, attractive, fun dogs and can be wonderful pets for those who understand sighthounds. If raised with children, they can be very good with them. They should never be trusted with smaller pets, as they are instinctive hunters and will chase and catch anything that runs. Health concerns include bloat, torsion, and hip and shoulder dysplasia. 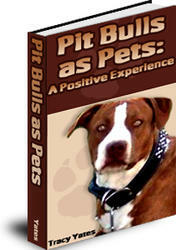 Are You Under The Negative Influence Of Hyped Media Stereotypes When It Comes To Your Knowledge Of Pit Bulls? What is the image that immediately comes into your mind when you think of the words Pit Bull? I can almost guarantee that they would be somewhere close to fierce, ferouscious, vicious, killer, unstoppable, uncontrollable, or locking jawed man-eaters.